Dynamic call tracking works by inserting different numbers for different website visitors. If a website visitor came from an AdWords campaign, they’ll see a unique number that’s assigned to their visit. If that AdWords visitor then picks up the phone and calls, Juvo Lead will track the source of the traffic, the campaign, and even what keyword they typed into Google to start the search. Dynamic call tracking numbers all ring the main business line number. If a visitor saves a dynamically inserted number and calls it at a later time, it will still ring the main business line. No coding is necessary. The tag that Juvo Leads adds to every site finds the existing number on the website and automatically switches it out for one of your new dynamic call tracking numbers. Local numbers help show your local visitors that you are near them by displaying a recognizable area code, while toll-free numbers help project a national image without burdening them with the cost of a long distance phone call fee. Juvo Leads provides access to over 400 area codes in the US and has thousands of toll-free numbers to assign to your lead tracking campaigns. We also support international call tracking on a case-by-case basis. Please feel free to start a chat and ask us if we support your country code if you are outside of the U.S. If you have a dedicated number that you want to bring into the Juvo Leads call tracking pool, we can port that in. Typically, this process takes between 6-8 weeks. If you ever want to leave Juvo Leads, we’ll (sadly) facilitate that process with your new provider for all your phone numbers. Keyword level tracking is our users’ most used (and favorite) feature. With keyword level tracking, a business or firm owner has the ability to see what keyword generated the inbound phone call. This level of campaign insight is essential to run an effective paid traffic campaign. Once a business owners know what keywords are driving the most phone calls, they can modify their strategy around those keyword and allocate their time and budget accordingly. From the Lead Tracking Dashboard you can see what keyword drives not only calls, but form submissions, chats, and chat leads. Call recording is powerful for select businesses that want to monitor sales efforts, provide training feedback, or even just to be understand a previous conversation. Call recording has laws that differ from state to state, so please check your individual state law before using this feature. Some states have two-part consent rules while others only require that one party is aware of the recording. We urge all users to do their own research into this powerful feature. Phone calls are one of the most common ways website visitors contact businesses. But before call tracking, a business owner would be forced to ask, “How did you hear about us?” and hope the person calling would remember. Thankfully with call analytics, business owners no longer need to ask this question but can instead see exactly where each call originated and learn what campaigns, pages, and keywords are driving the most calls. 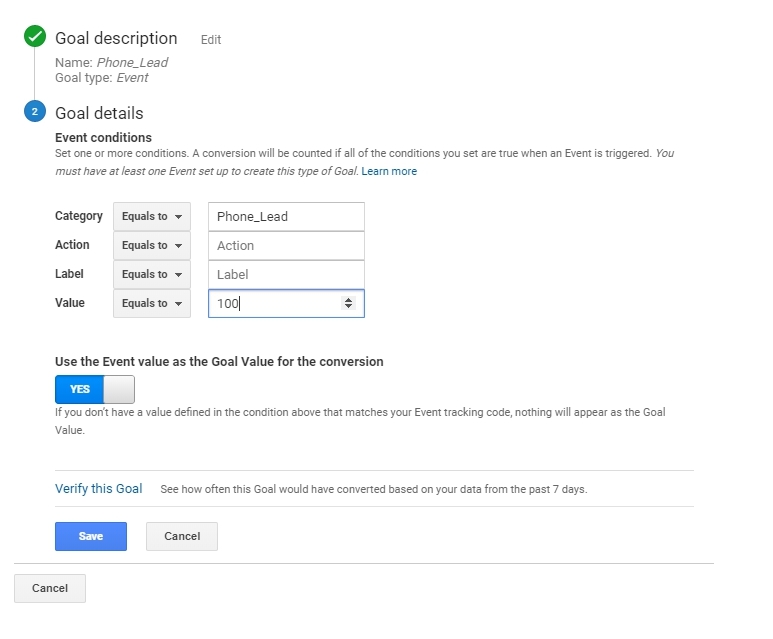 Once this is done, log into your Google Ads account and import these Goals. Once imported, each goal will be recorded as a conversion and anytime a call is made into your website, it will be recorded as goal in analytics. And, if the call is from Google Ads, it will appear as a conversion in your Google Ads dashboard. Native form tracking means using existing website forms. Juvo Leads Form Capture DOES NOT require any new forms nor any form mapping. Keep your existing forms and get all form lead notifications sent straight from Juvo Leads. Website Chat, Call Tracking, & Form Tracking combined for easy lead tracking.